Please keep in a cool place avoiding direct sunlight. Please do not replace in other containers which can cause changes to the quality leading to abuse of the drug/medication. Please do not use the product if it was past the expiration date. 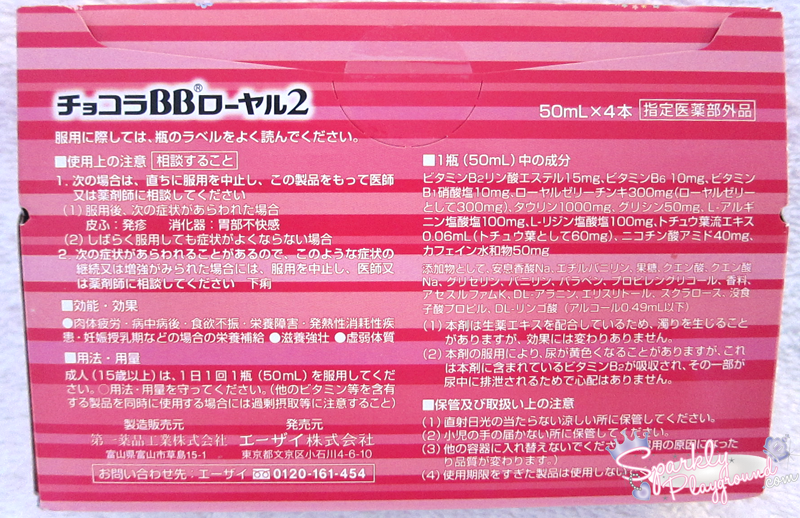 This agent will cause urine to be yellow, there is no worry about it because it is absorbed by vitamin B2, which is included in this drug, the part is excreted in the urine. 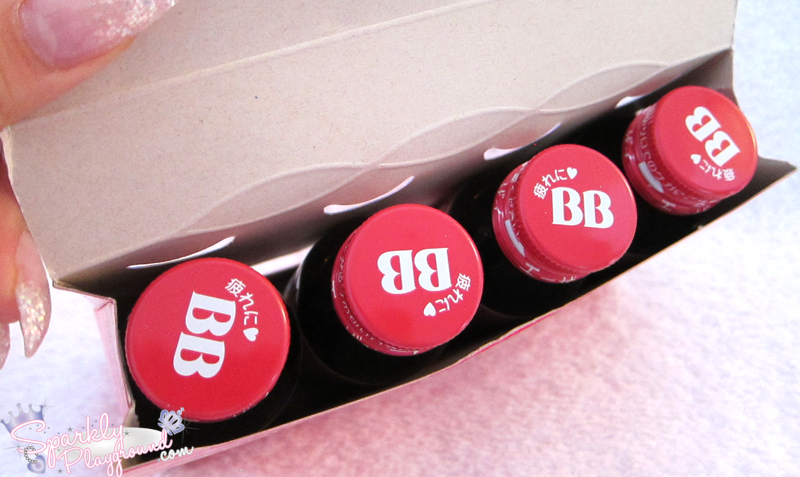 In Japan, you can purchase energy drinks bottle by bottle or as a pack. Mine came in a 4-pack. 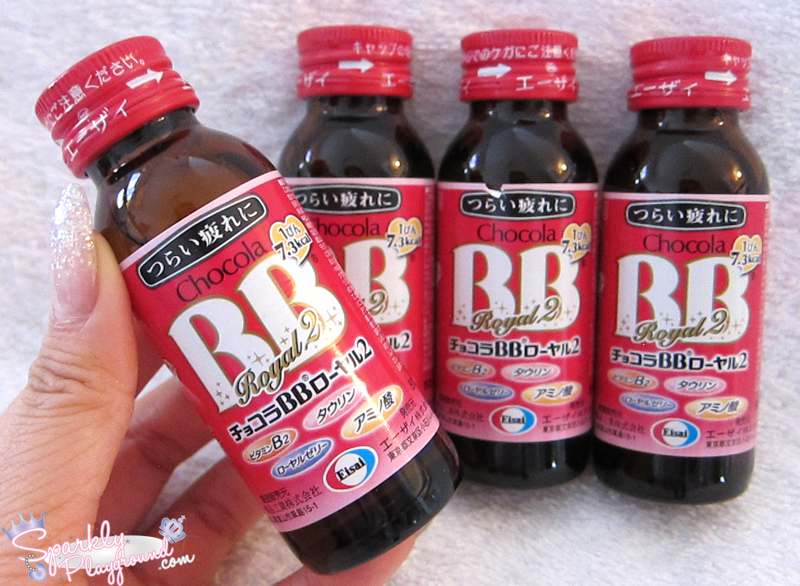 I noticed I hardly showed you guys the colour of these drinks before so I tried to capture it for this product! The colour is super yellow!! Comes in little glass jars - super environmentally friendly. 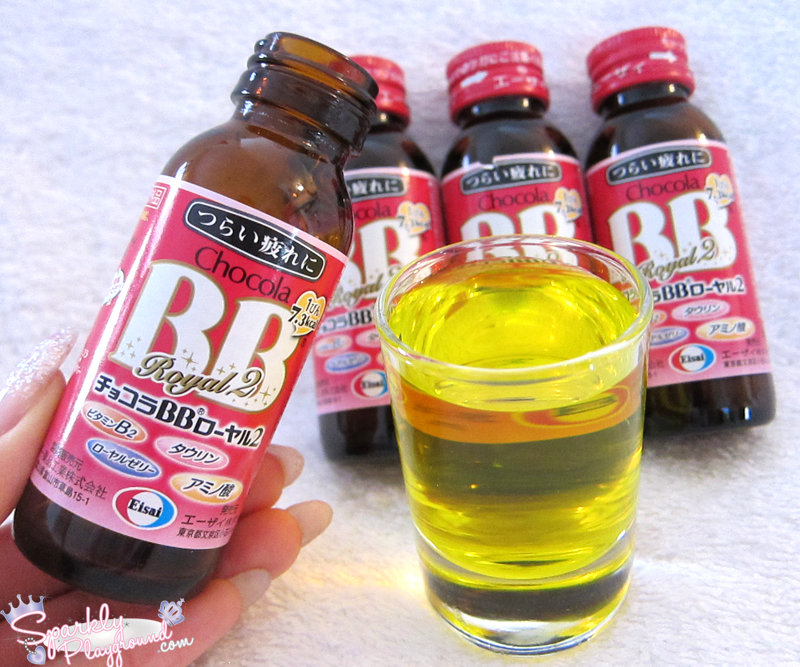 Finally, I find that the ingredients in the drinks provide lasting effects so I find it much more beneficial for the body. Vitamin B2 is vital for boosting your metabolic rate and helps your body to produce red blood cells for optimal skin rejuvenation. Vitamin B6 is an important anti-oxidant that helps fight free radicals which cause aging of skin cells. 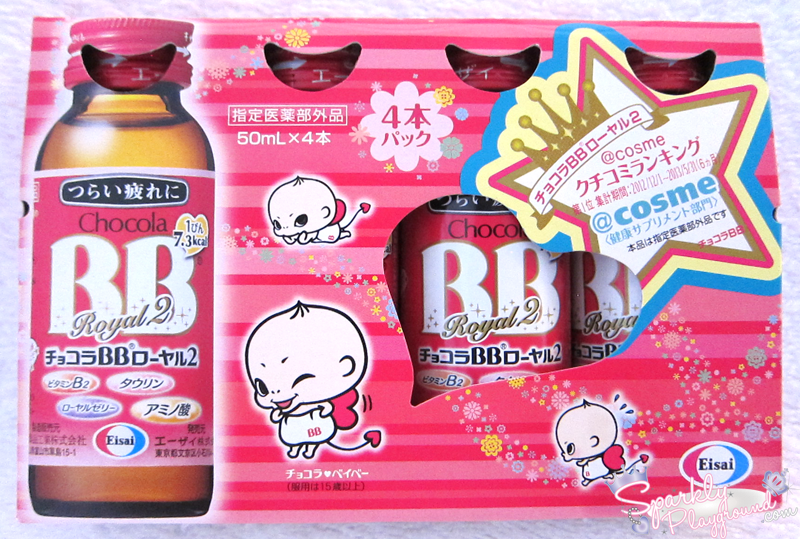 Product: 4/5 ♥ I'm not a fan of the taste, too sweet for my preference.